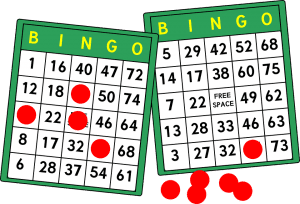 Bingo has been one of the most popular games to play in the UK for years. People have always loved the friendly atmosphere, the excitement, the frustration of ‘sweating’ on one number only for someone else to get in there before you and steal your thunder that the game brings. There is a real sense of community in bingo-halls and players love taking part in the ‘bingo-lingo’ and the thrill of claiming that house jackpot. Here you can see the 10 best local bingo halls nearby to Manchester. The game has seen a dramatic increase in its fortunes with the online community taking off and expanding at a rapid rate. 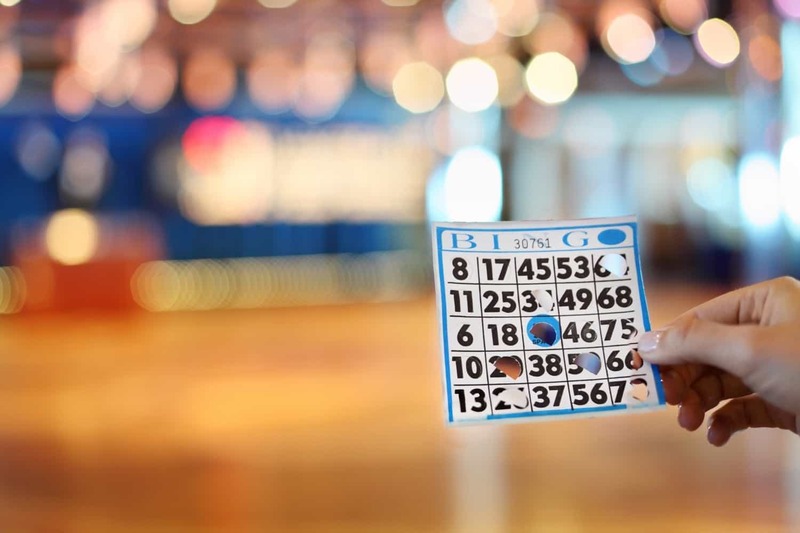 As convenient as exciting as playing online is, the majority of people still prefer to play in a physical bingo-hall and soak up the atmosphere. A new era has been slowly ushered in with more and more young people discovering and enjoying the game. Over 80% of players are now under fifty years of age and almost a fifth of those people are aged between 18 and 24. Bingo-halls have adapted to this changing climate and have installed the latest technology to entice these younger players in. This includes things like Spin the Wheel games and more. Most bingo-halls now have either a bar or a restaurant as well, so you can get a group of friends together and really make a night of it. You could even reserve seats and have a hen party or birthday party while you try to win big. Situated in the heart of Leigh, BJ’s Bingo are a family run operator that have two other halls across the UK. BJ’s in Leigh play host to almost 2,000 games a week and regularly pay out over £64,000 every seven days. They have over 70 modern arcade machines and participate in the National Bingo Game which has a top prize of £100,000. They also have a restaurant and a fully-licensed bar. When visiting BJ’s you can enjoy a variety of different things including bingo scratch cards. There are various operators that offer scratch cards to create a fun and enjoyable place. Scratchcards make the gaming experience a lot more unique and allow players to change it up a bit. These can also be found on a number of online websites. It is recommended to try out a number of different scratchcards before deciding on the best ones. Technically, this is two venues. Gala have one hall in the heart of the town centre and one on Robin Park. Both halls have been established for a number of years and have a loyal customer base. Both venues have a bar, a diner, cash machine facilities and electronic games. They are a part of the Gala Bingo group which have over 143 clubs nationwide and pay out over £42 million a week in prizes. Knotty Ash opened in 1994 and was given a million pound makeover in 2103 for the best possible experience. The Knotty Ash hall has enough seating for 1,200 players and have over 100 slots and electronic terminals.They offer some free game options, but regular games start from just £1 and some of the late evening sessions that would normally cost more are included in the earlier session pricing. There are a large number of Mecca Bingo locations across the United Kingdom. You are sure to find a Mecca hall nearby you no matter where you are situated. Opera Bingo are a chain of four halls across the country, and the St. Helens Hippodrome is their latest addition. The Hippodrome was opened in 1903 and was originally a theatre (where Charlie Chaplin once played) before being turned into a cinema, and then a bingo-hall. They offer free membership, electronic gaming, a fruit machine lounge and two licensed bars. Part of a chain of fourteen halls (including one on the other side of Manchester in Old Trafford – find out about the Old Trafford Stadium here), Club 3000 Bingo in Walkden is a huge, brightly coloured, modern bingo-hall. As well as live and electronic games they have loads of other slot and games machines and their prizes are second to none. Prizes range from vouchers to cash, guaranteed price night’s worth £25,000, to brand new cars, so it’s not hard to see why they are so popular. Another of the 10 best local bingo halls is Cosmo. Cosmo have two bingo halls in Manchester, one in Eccles and one in Stalybridge. The Eccles hall has been around for over fifty years and has become a staple of the community. The venue is regularly packed to the rafters and with jackpots regularly hitting the four figure mark it’s not hard to see why. Cosmo have different bingo deals and promotions for every day which range from money off packages and completely free games. Situated just off busy John Dalton Street in the heart of Manchester city centre, Bucky Bingo have been around since the 1960’s and they were recently listed as a finalist in the Which? Bingo awards. If you like Bucky, you might be interested to play online. Check out our Bucky Bingo review today for details on the promotions and features available on the internet! ‘The Pivvy’ as it’s known locally has had a chequered history. First opened in 1906 it has been used as a wrestling venue, a music venue (with The Beatles and George Formby both playing there), a theatre, a cinema and a bingo-hall. Fires have ripped through it twice; once in 1986 and again in 2011 and as a result it has had a full £750,000 refurbishment to bring it completely up to date. Just like many other bingo-halls, progressive jackpots can be found at Pavilion. These are a great way to start a game, as more and more money can be won the more you play. This is great if you play regularly, as you will have more chances to win huge amounts of money. If you would like more details on jackpots, why not visit your local club today? Rock n’ Roll Bingo is played at the Bierkeller every Monday. This isn’t bingo as your grandmother plays it. It’s loud, it’s brash and it’s part drinking game, part singalong. Cheap tickets and cheap drinks are the order of the day here. The Bierkeller in Manchester’s Printworks also offers a similar night. Mecca Bingo appears for the second time on our list, this time in Bolton. This purpose built venue is right in the heart of Bolton, sitting right next door to the Grosvenor Casino. There is enough capacity to seat some 1,200 people. They also have a bar, cafe, cash machines, 32 electronic terminals and lots of special offers. If you don’t fancy going out, Mecca Bingo online is also available. Here you will get all the same features from the comfort of your own home. What could be better? If these 10 best local bingo halls don’t interest you, or they are not local to your location – don’t worry! You can also play online. 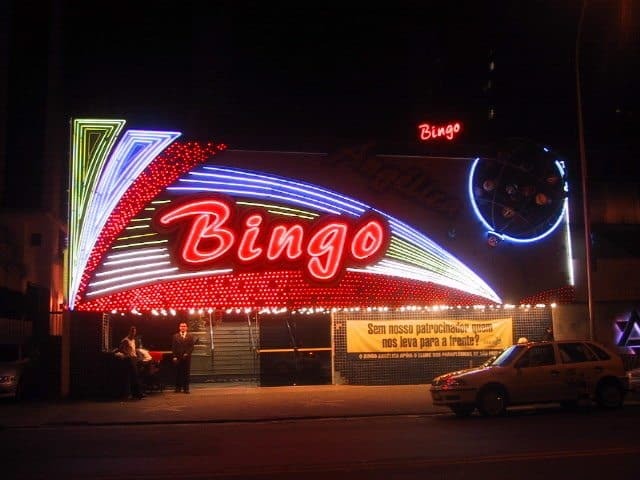 Check out the best bingo sites online today and have as much fun as you want!